Energomonitor never misses key events. We enjoy meeting our partners and customers so we flew from Prague to Barcelona to present our technology. We believe that smart energy monitoring is one of the keys to developing smart cities, and this year we saw that we’re not alone with this opinion anymore. Expectation. Excitement. Enthusiasm. It’s always electrifying when the gates of an expo open and you’re waiting for the first passers-by. We were in Barcelona, presenting our Energomonitor solution to the worldwide leading event for utility technologies, taking another big step towards daily smart device use. 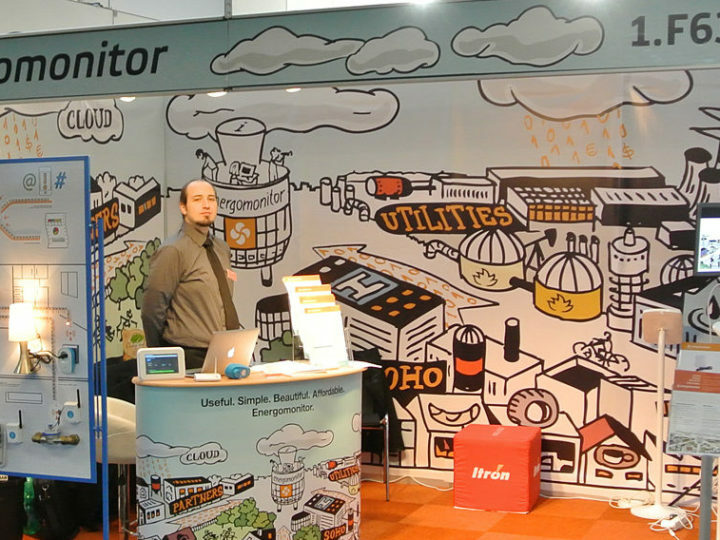 We saw huge changes since 2014 when we exhibited at European Utility Week for the first time. Connection between utilities and the Internet of Things is now definitely something. It’s no longer just a vision; it’s now a real option being taken seriously by the biggest utility market players. It feels as though the decision-makers, even from so conservative a domain as utilities, are beginning to understand the benefits modern devices bring, improving the quality of people’s lives, creating new business opportunities and saving energy, money and time. For three days (15–17 November) Barcelona became the world capital of sustainability and new technologies while it hosted four international events focused on sustainable development: Smart City Expo World Congress, Circular Economy European Summit, iWater and European Utility Week. The last of the abovementioned shows, all of which were held at Fira de Barcelona’s Gran Via, is the leading platform for energy and resources management. 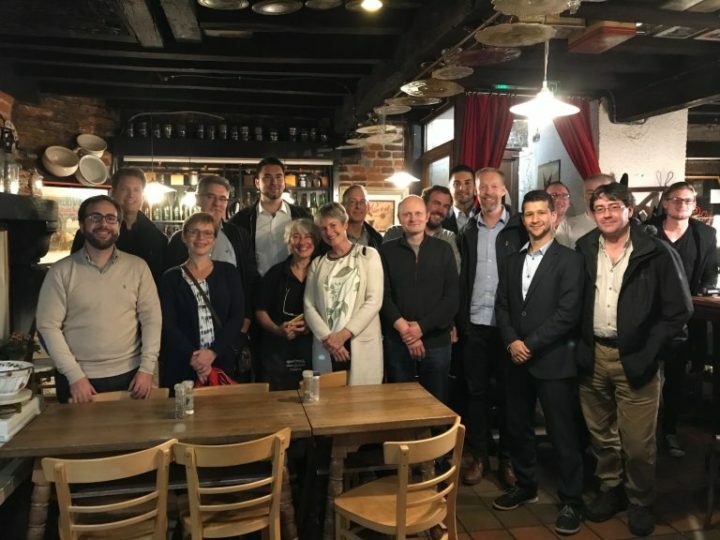 The event focused on optimising the power network, developing renewable energy, energy storage as well as the opportunities and challenges that the Internet of Things is bringing to this industry. Barcelona has a kind of magic. Modern architecture all around the expo buildings underlines the future smart cities vision. But is it still only a vision? No. Smart cities are reality. More than ever. Driverless metro Line 9 operates near Plaça d’Europa. Hotels near the expo are equipped with smart technologies that control the consumption of energy and water. Sensors communicate with GPS in cars and navigate you to free parking places. Other years and expos were very different. 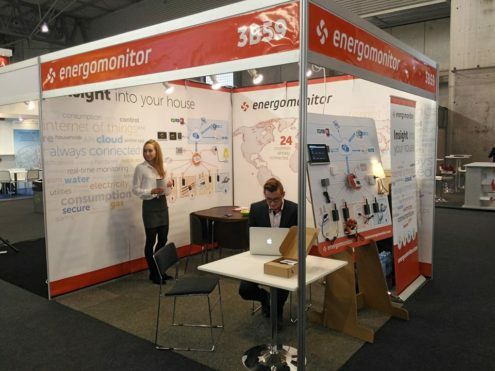 In Amsterdam, where European Utility Week was hosted in 2014, we had to give reasons, explain the added values of real-time consumption monitoring. In Vienna 2015 more people seemed to understand why energy metering is so important and we also noticed competitors who do similar products. This time, we didn’t need to explain the kinds of product we’re developing – people were pretty well informed about smart devices and importing data into the cloud – so we just discussed how we do it, not why. We talked about technical details and feature possibilities. It’s a big shift, not only in smart technologies, but in most people’s thinking, too. Of course, Energomonitor isn’t alone with its product. Plenty of companies share the same vision, some of which exhibited at European Utility Week 2016 alongside us. But what did we think were the most interesting products that connect traditional utilities with modern online technologies? Energomonitor, which is us! 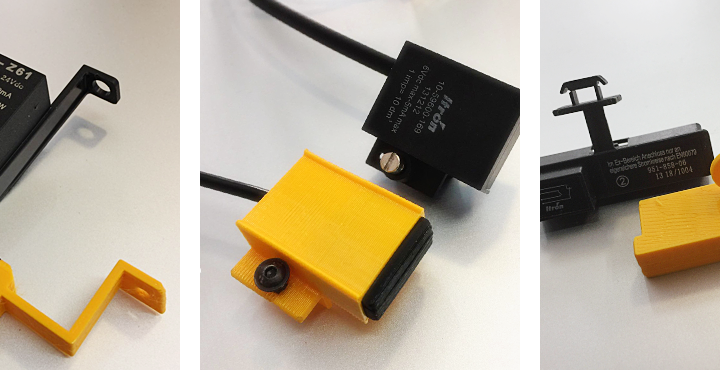 🙂 In case you didn’t hear about us, Energomonitor is a Czech Republic-based company that produces its own software and hardware platform for collecting data from a wide range of current meters – electricity, gas, water and temperature. Our online app gives users insight into and control over their households and small businesses. The Energomonitor team was one of 591 exhibitors that brought their technology and solutions to Barcelona. Over 16 600 visitors came to look, and passers-by were more open to talk to than ever before. Over 600 cities attended Smart City Expo World Congress, some of which had their own pavilions. New York, Berlin, London, Copenhagen and Barcelona were just five of the cities that showcased their innovations in implementing smart solutions for metropolitan growth. Clearly the Barcelona expo has started a new chapter for smart technologies.